A suite at Riad El Fenn, one of the sites included on the Insider Journey to Marrakech itinerary, hosted in 2019 by Mitch Owens (May) and Gay Gassmann (October). Photo by Joanna Vestey. Gay Gassmann, center, with Indagare members on the Insider Journey to Marrakech in 2018. 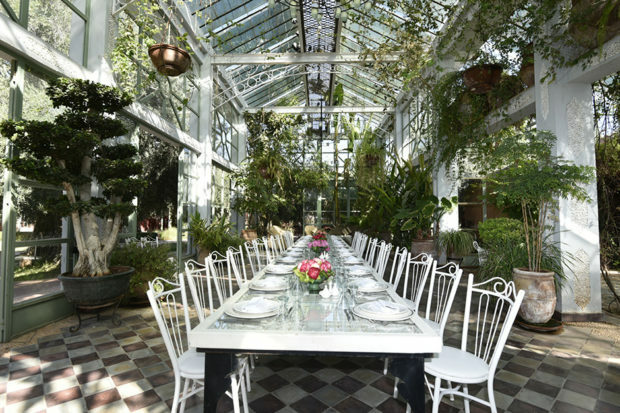 A private lunch spot in Yves Saint Laurent and Pierre Bergé's Villa Oasis, which will be included on the 2019 Insider Journeys to Marrakech hosted by AD editors Mitch Owens and Gay Gassmann. 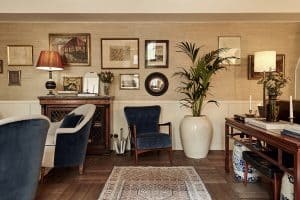 As the Decorative Arts Editor for Architectural Digest, Mitchell Owens makes a living by defining what he calls “the vocabulary of a place,” while Gay Gassmann, Architectural Digest’s Contributing Editor based in Europe, keeps her thumb on the pulse of the style capitals, with contacts in every atelier. 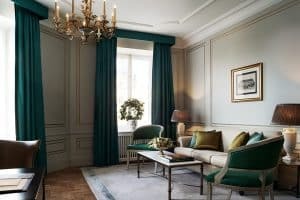 These traveling writers are constantly on the go, seeking out the world’s most beautiful interiors and the designers that give each destination its allure. Here, they share favorites from around the globe. In 2019, Mitchell Owens and Gay Gassmann will host Insider Journeys to Beirut, Marrakech, India, Stockholm, Istanbul, Lisbon and England in 2019. For details and reservations for all our AD x Indagare Insider Journeys, click here. 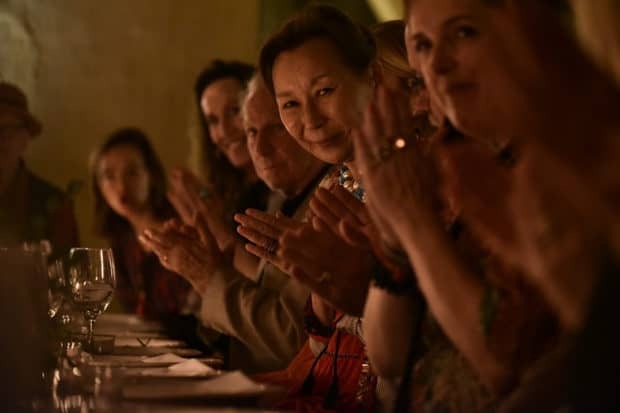 AD Contributing Editor and Insider Journeys host Gay Gassmann, center, with Indagare members at a dinner on the Insider Journey to Marrakech in 2018. Last year, you led our inaugural AD x Indagare Insider Journeys to Marrakech. What surprised you most about the experience? Mitchell Owens: The camaraderie—it’s not much of a stretch to say that Insider Journeys are like an all-day cocktail party. We talk, we marvel, we share insights and experiences, and we raise a glass—literally—to our surroundings as night falls. Then, rise and shine, it starts all over again the next morning. 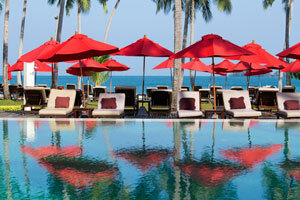 How would you advise people who are curious about the benefits of a group trip? Gay Gassmann: Even in a group, each trip can be highly individualized and tailored for what you want. It ended up being so fun to hear about what everyone had done and seen on their own when we reunited for our special group activities and meals. On these trips, you have the benefit of a beautifully organized itinerary, with a built-in group of interesting people to enjoy it with—but you also have flexibility. MO: The Indagare x AD tours connect people with common interests: a fascination with beauty, especially architecture and design of all kinds. An appreciation of style gives us a reason to be together—and we experience a certain world together. Trust me: perfect strangers become new friends by the end of the week. A view of the gardens at the Villa Oasis in Marrakech, which will be exclusively available to visit for participants on the Insider Journeys to Marrakech in 2019. 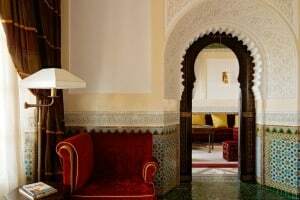 What were some of the highlights of last year’s Marrakech trip? 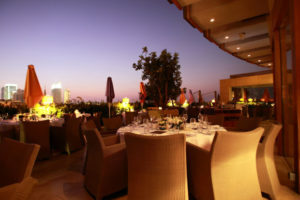 GG: I have been an expat my entire adult life—but walking onto the rooftop terrace in the medina, where that famous picture of Talitha Getty was taken, at sunset, was pretty amazing. I burst into tears! MO: Visiting Villa Oasis, the legendary house that was owned by Yves Saint Laurent and Pierre Bergé, which is not open to the public. 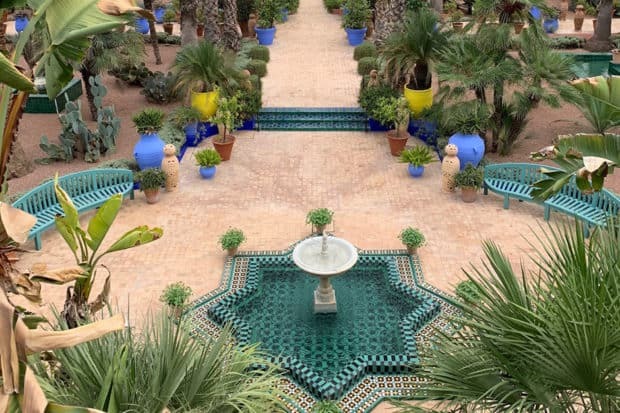 Our fellow travelers were practically giddy as we dined in Saint Laurent’s own garden, explored his rooms, and enjoyed rooftop drinks with a former U.S. ambassador to Morocco. 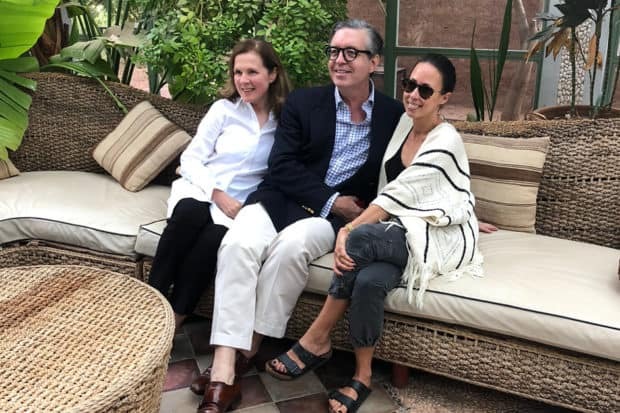 AD Decorative Arts Editor and Insider Journey host Mitchell Owens with Indagare members on the Insider Journey to Marrakech in 2018. Tell us about the trips you’re hosting in 2019, with such destinations as Beirut, Jaipur and Istanbul. GG: For Beirut, Marrakech and Istanbul, I think these are all cities that you might be nervous to visit on your own. They are all full of surprises, but in terms of their most special qualities—for all three, I’d have to say the joie de vivre. All of these places cultivate a certain lifestyle punctuated with gracious living, lots of color and laughter and great food! MO: Marrakech is worth visiting for the colors alone. They changed Yves Saint Laurent, and they’ll change you, too. In Jaipur—to see the royal palaces and forts, frosted like pastries and glittering with glass. What are some of the highlights that you’re looking forward to the most? MO: Visiting the hand-blocked wallpaper firm Handtryckta Tapeter Langholmen in Stockholm, seeing the artist Claudio Bravo’s riad in Marrakech and, of course, bringing guests into private homes they never thought that they could visit, to connect them with cultural influencers who can offer candid insights that put the trip into perspective. GG: Nothing beats a private moment on a rooftop as the sun goes down or drinks in a secret garden in the middle of a bustling city. Table settings at one of the private luncheons on the Insider Journey to Marrakech in 2018. 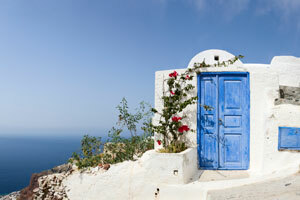 How has traveling as a host for an Insider Journey impacted you? MO: Traveling with open eyes and ears—and my iPhone at the ready—is better than any art history class. I’m always coming back from exploration with hundreds of shots of doors, windows, hardware and gardens—what makes up the vocabulary of a place. GG: It’s all about the people. In addition to the joy of sharing places that I love with others, being able to meet and spend time with the lovely and adventurous travelers on the Insider Journeys has been a wonderful surprise and gift. You can follow Mitchell Owens’ travels on Instagram @adaesthete and Gay Gassmann’s @gaygassmann.